For a gardener a plant is the perfect memento. We visited Glenveagh Castle Gardens in May of this year where we held our Annual General Meeting and enjoyed guided walks of the garden afterwards. On the occasion of our visit to Glenveagh in May, Seán very kindly had a young plant of Dahlia ‘Matt Armour’ for each person in our group and I am sure each of these plants went to a very appreciative home and will be treasured for many years to come. 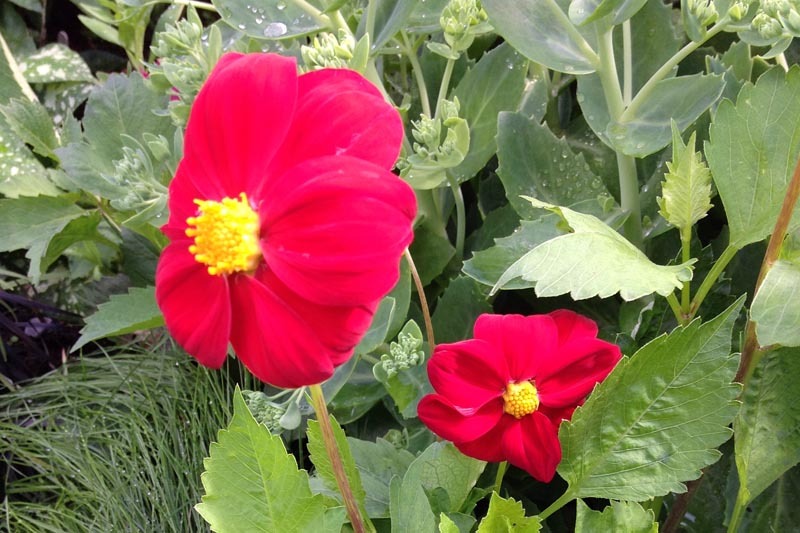 I had an e-mail from Victor and Roz Henry last week with an attached photograph of their Dahlia ‘Matt Armour’ in flower; the first reported flowering. Well done to Victor and Roz for in their success with this plant. It is wonderful to see our Irish heritage plants being so well cared for in the hands of our members. Well done, Victor and Roz!